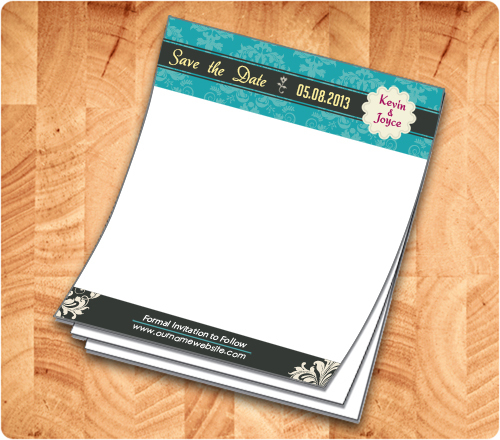 3.5 x 4.25 custom printed wedding favor notepads can be imprinted in any sharp, pleasant, light and fair colors. 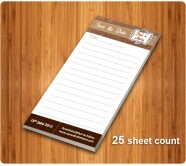 It is offered in 25, 50 sheets and gives plenty of customization space for advertisers to work upon. Users who receive it as a gift can utilize the working space for scribbling some important, private, personal, or general information. Personalized wedding favor notepads are treasured by guests for long time and it serves as a best wedding memorabilia.